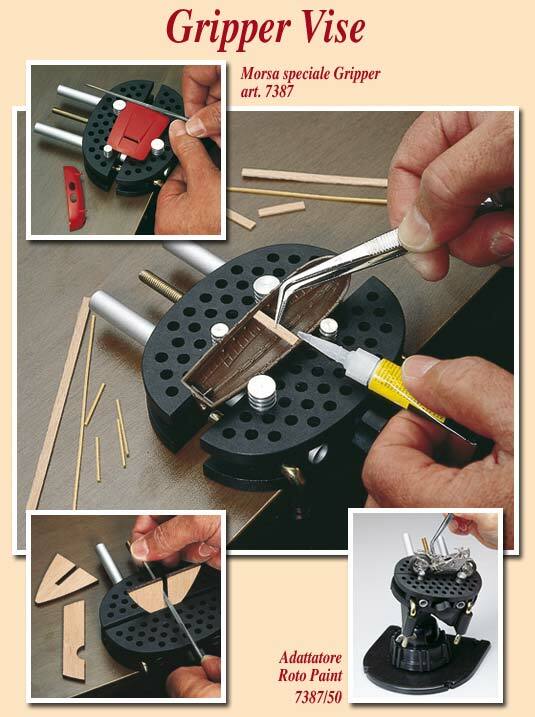 This versatile modeller’s vice holds irregularly shaped objects securely. The piece you are working on is held in place by four metal pegs you insert into each half of the vice. Change the position of these pegs to accommodate objects of all sizes. Vice fastens to your workbench with two C-clamps, also included.